This will depend on your arrival details. If you fly in from Kigali our driver guide will pick you from Kigali International air port and transfer you to your Hotel. If you are in Uganda you will be transferred from Kampala to Rwanda. From Kampala you will drive southwards to reach Rwanda for an overnight at Gorilla Nest Lodge/Kinigi Guest House. Early morning departure for the mountain gorilla tracking. After the briefing from the authorities of the park, set off for the trekking into the rain tropical forest covering the hills surrounding Virunga Volcanoes. Make sure you carry with you packed lunch and water. Depending on the time you will spend while trekking you may decide to take another activity at you own cost. Transfer to your lodge for dinner and over night Gorilla Nest Hotel or transfer to Uganda to have an overnight stay at Acadia Cottages in Kabale. The safari will end with Air port transfers either at Kigali or Entebbe International air port. 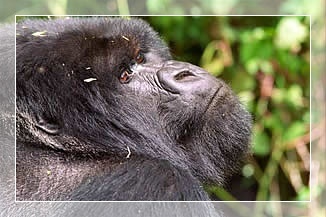 Come and See the Home of the Mountain gorillas in uganda.The thrill of tracking these gentle giants has been unforgetable according to clientelle's testimonials.The Gorilla tracking tour is available for both budget and Luxury travellers. 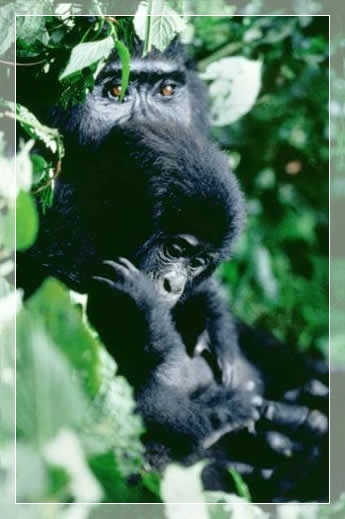 Launch a Three day gorilla trekking tour to Rwanda in Parc Des volcans.The tour can Begin from either Rwanda fo even Uganda .African Secrets is flexible to suite your customized Itinerary. trekking into the rain tropical forest covering the hills surrounding Virunga Volcanoes is breathtaking... !! 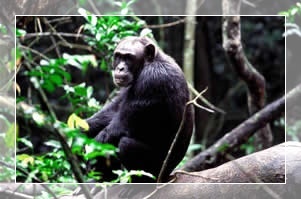 A five day gorilla trek to bwindi impenetrable forest offered in this itinerary involves a safari to Queen Elizabeth National park .Enjoy a boat ride in this tour.Chimpanzee tracking inclusive in this five day safari .This tour is ideal for travellers seeking to enjoy a short safari for primate lovers. 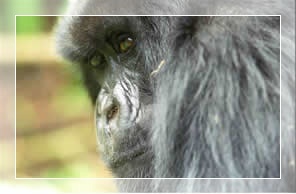 Gorilla trek to Bwindi national park included in this six day Uganda safari.Go through bunyonyi ,a heaven for bird watchers.After that get to cross the lake victoria on to the Ngamba Island for chimpanzee viewing .